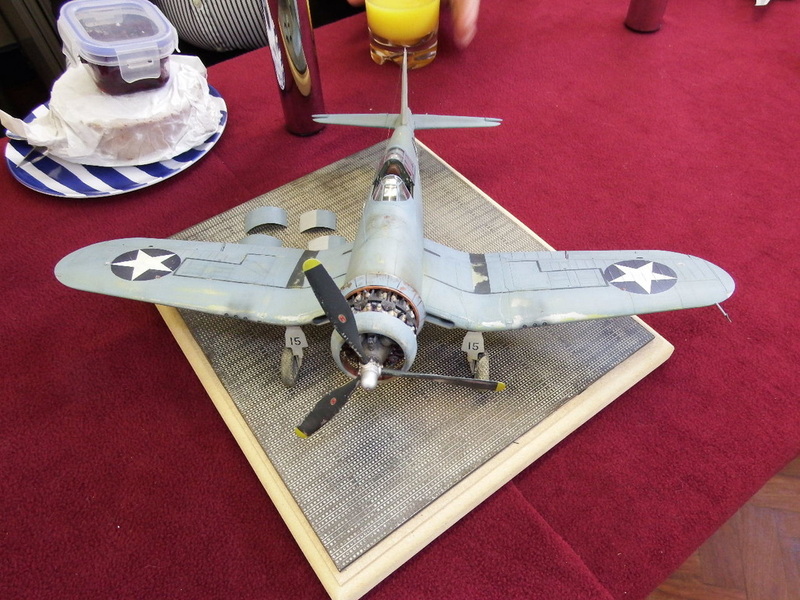 'Twas really early - 5:00am - and I had a guest in Peter Bowyer (M.A.N Models) who was staging over from his Show down in Faversham the day before so it was Bacon Sandwiches for brekkie! Once Peter had got away it was then my turn to collect Daryl on the way to the M1 for the 80 minute journey to Stoke on Trent. We arrived around 8:40 and found our tables (same setup as last year) so we unloaded quite quickly. 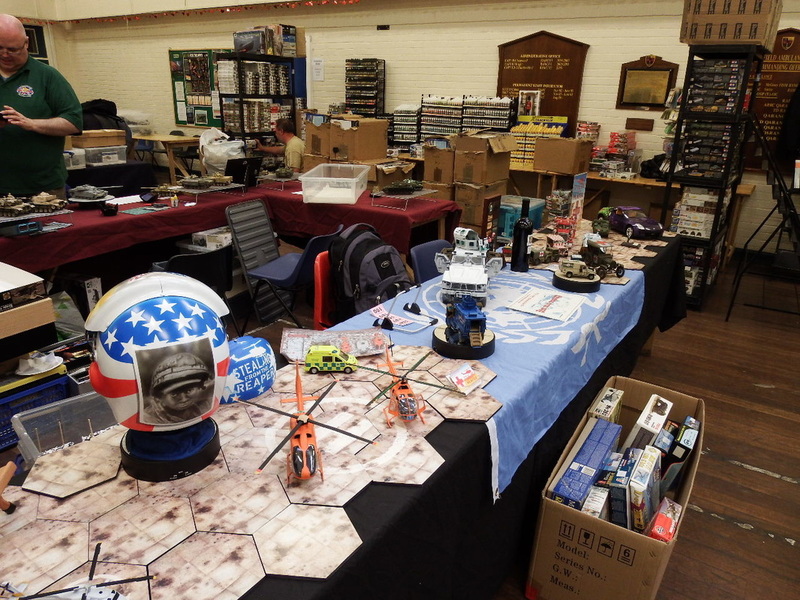 30 or so minutes later and we were pretty much ready except .... where's Tony? We left him some space! 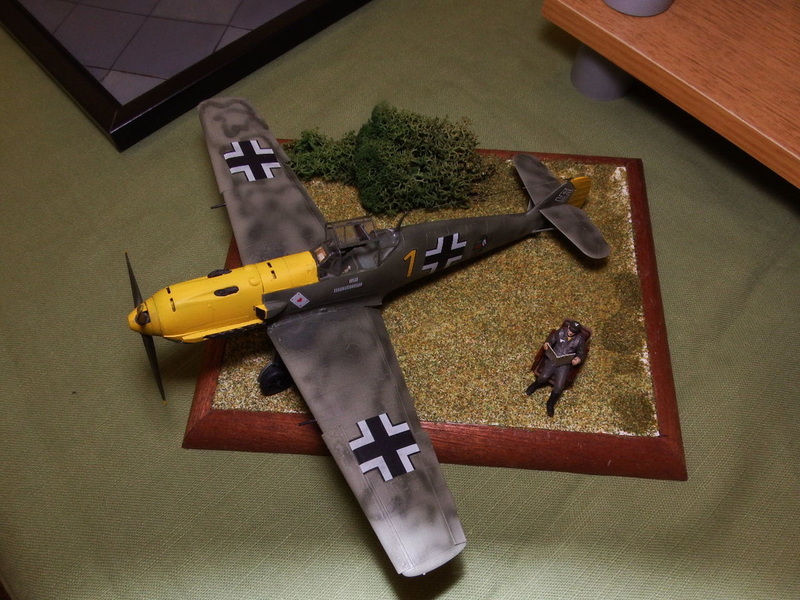 After some shinanegins finding the place, he rocked up just in time. 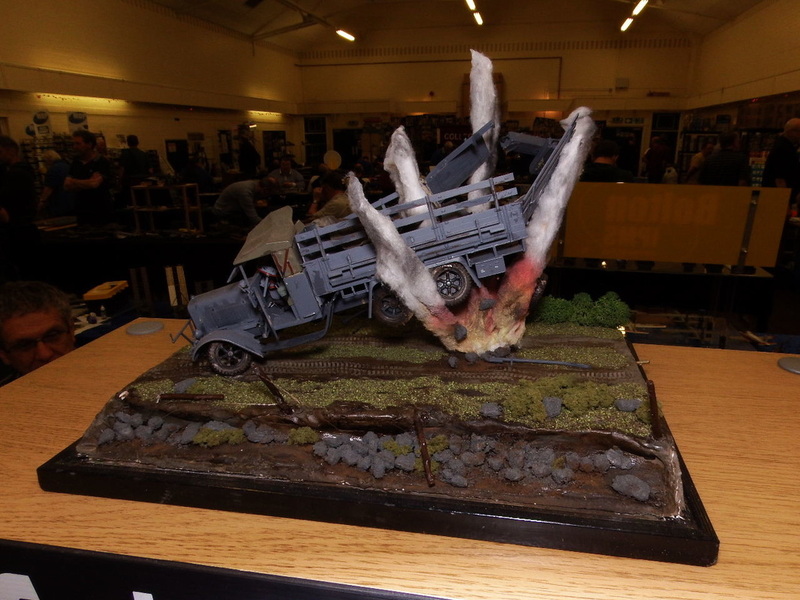 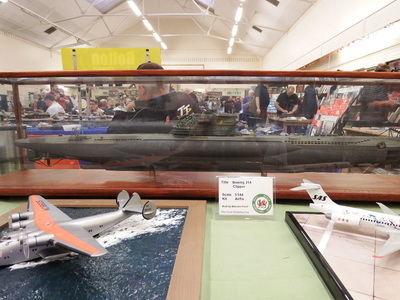 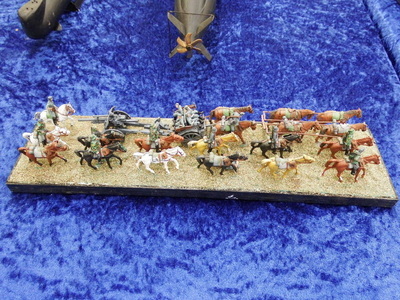 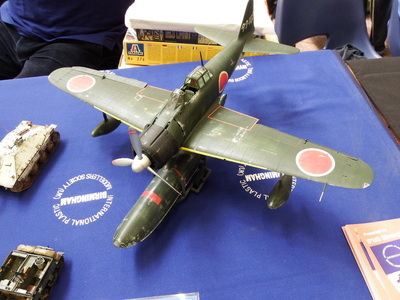 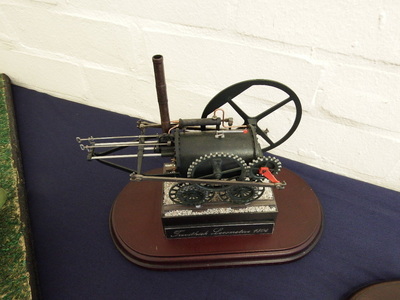 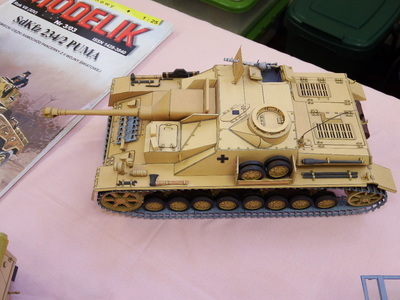 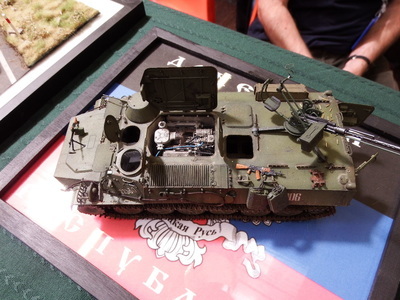 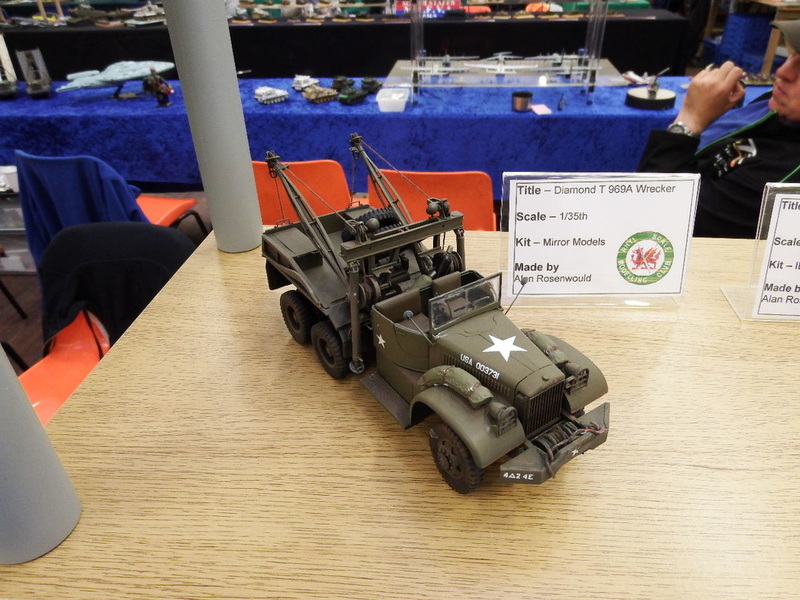 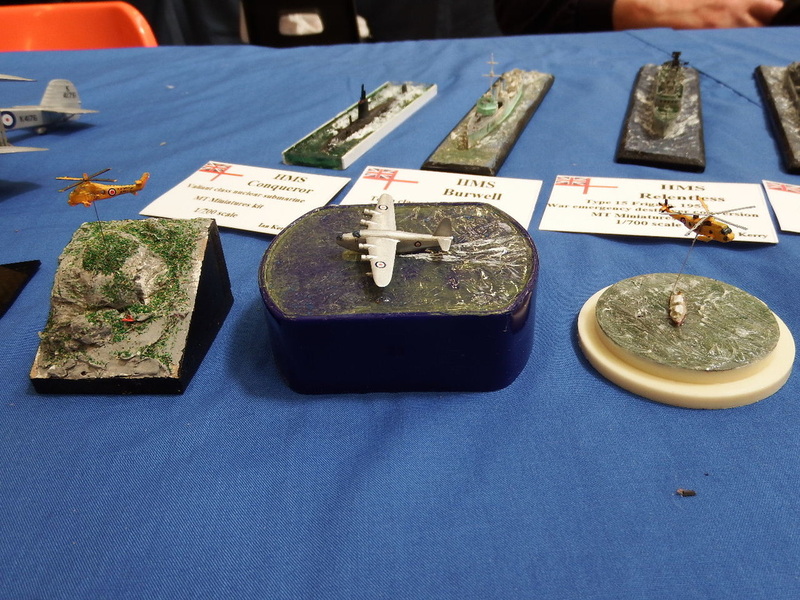 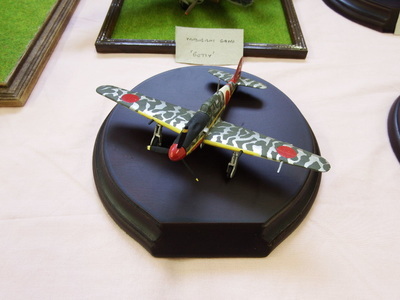 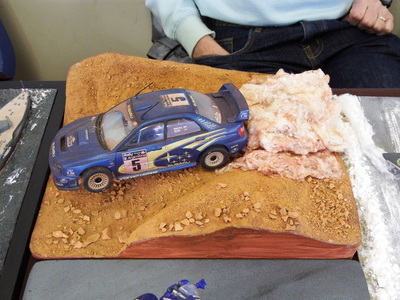 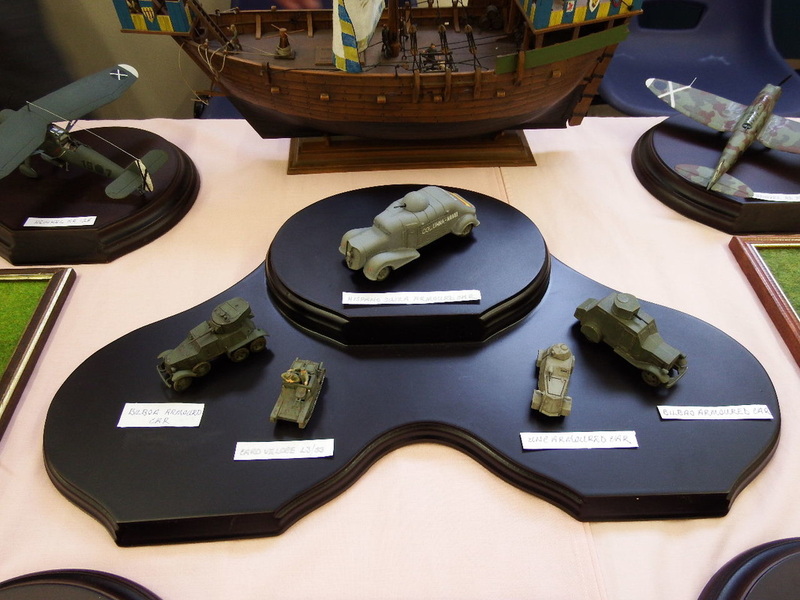 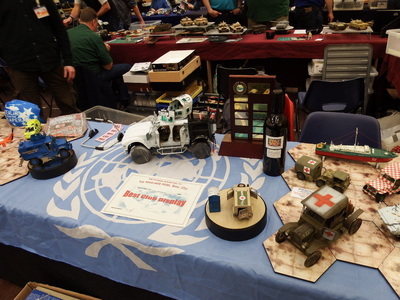 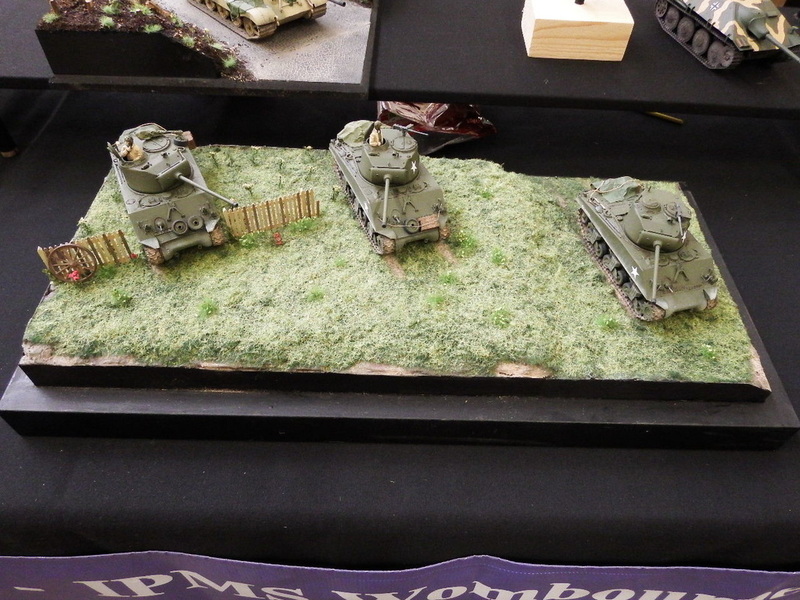 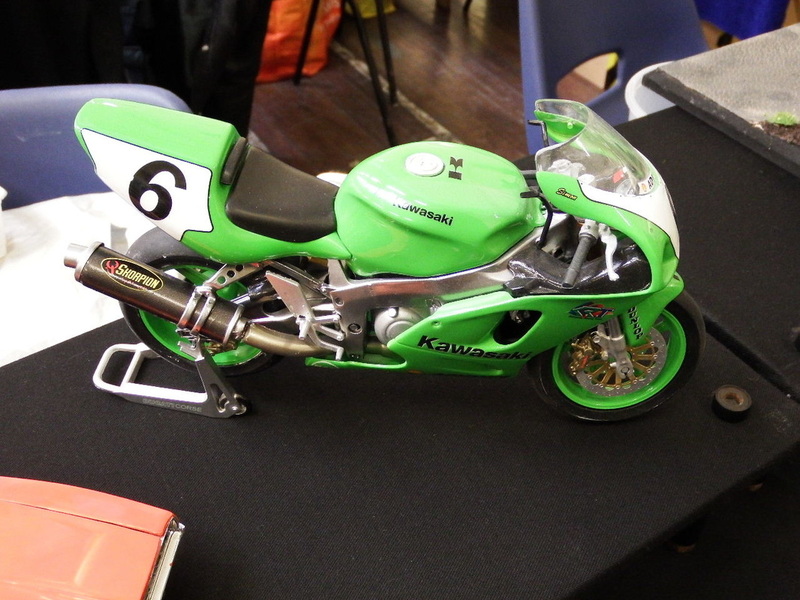 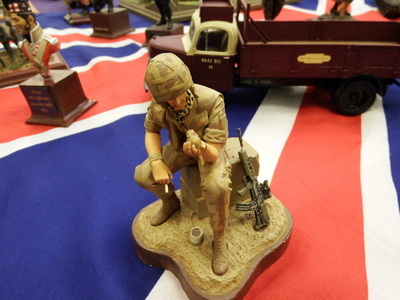 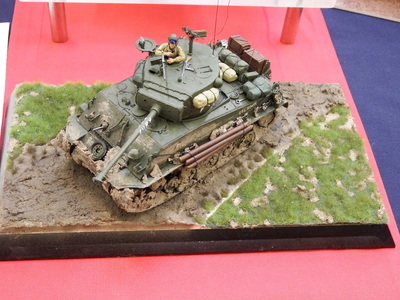 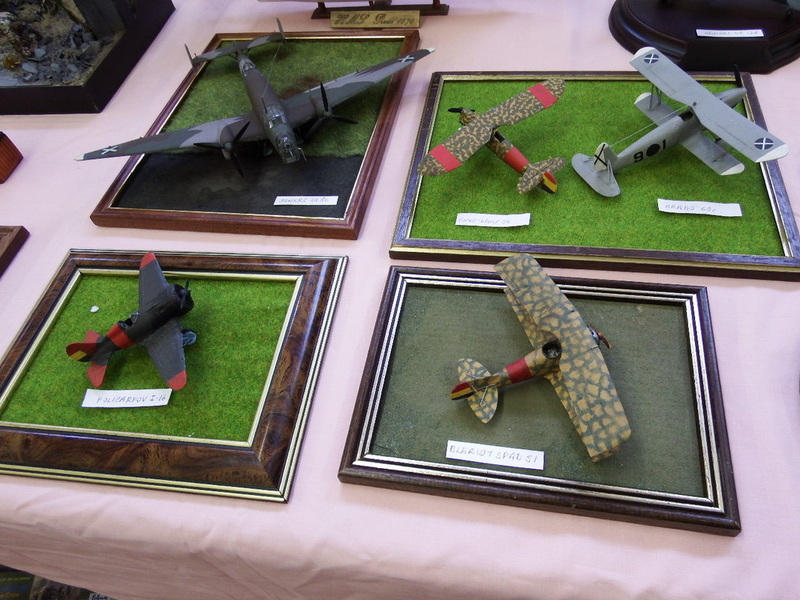 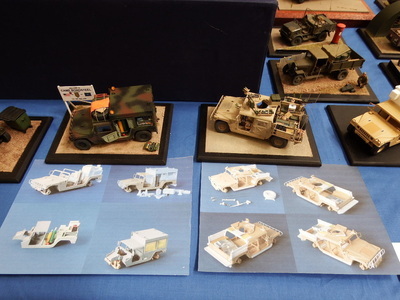 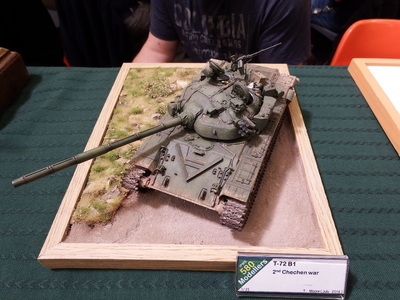 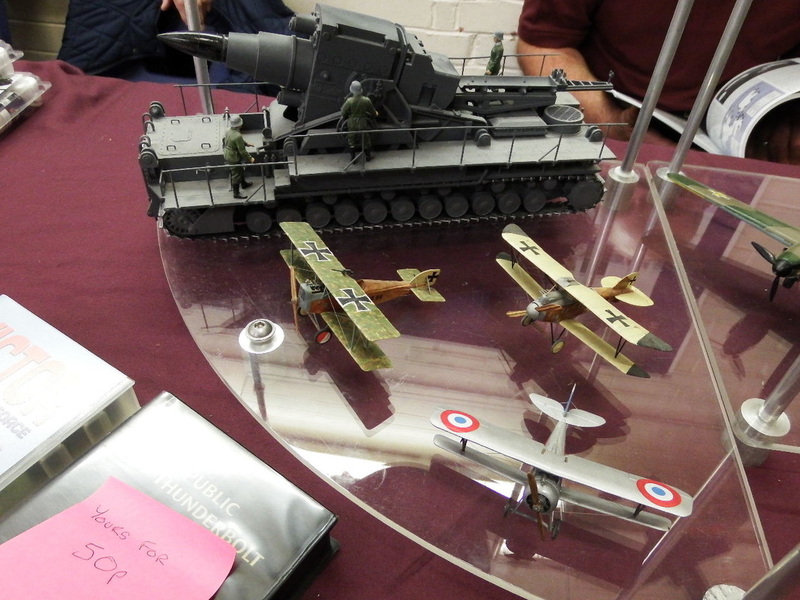 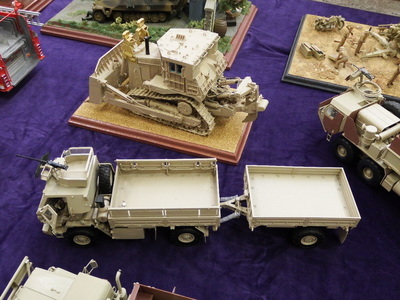 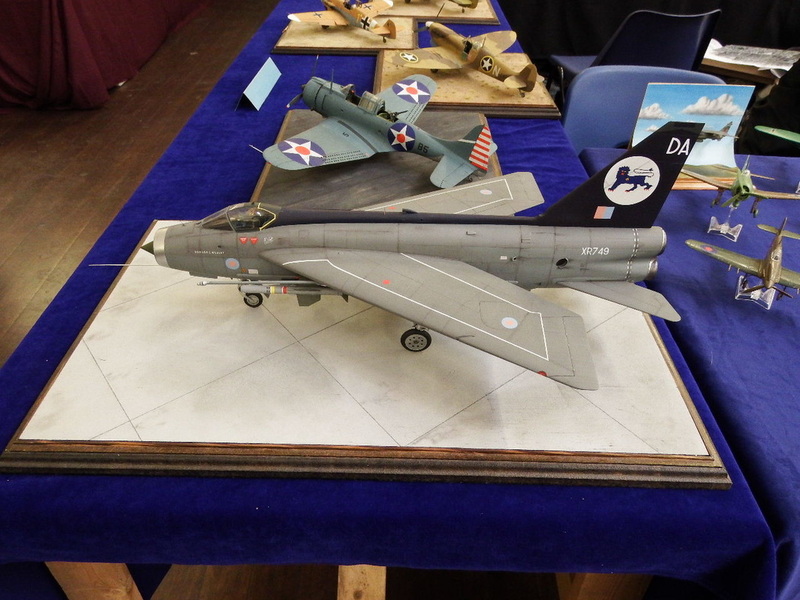 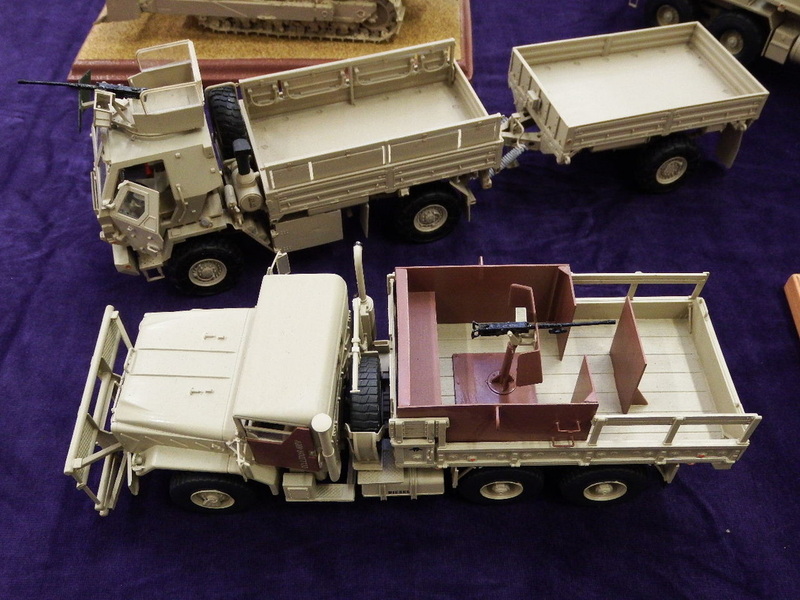 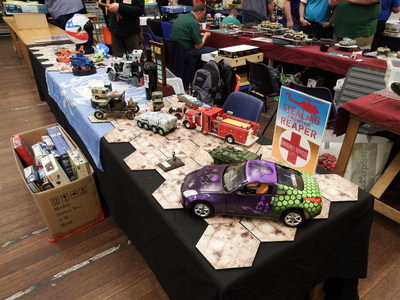 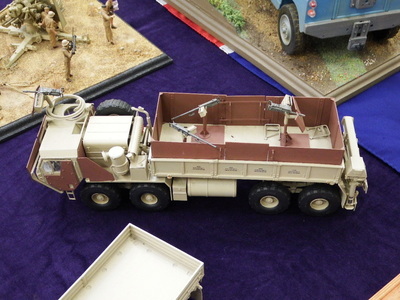 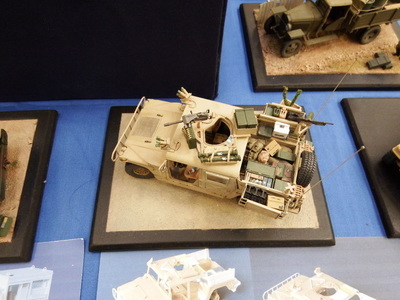 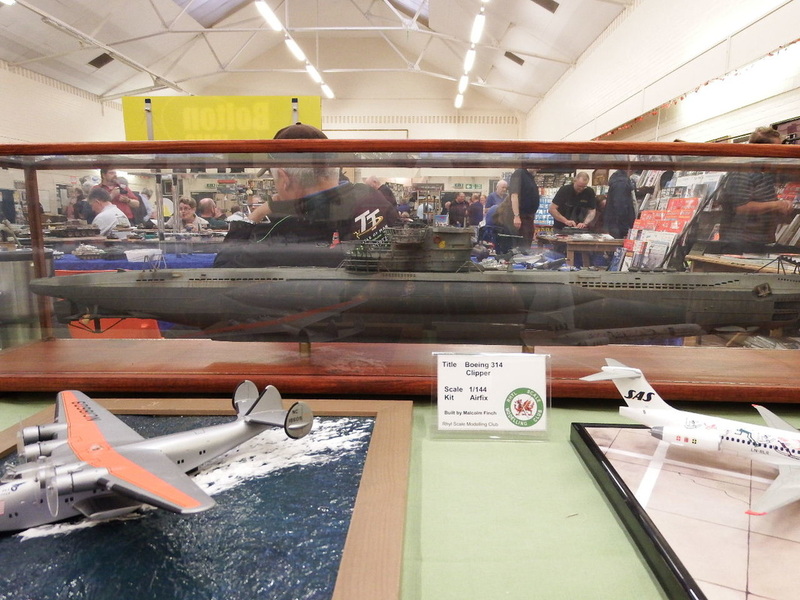 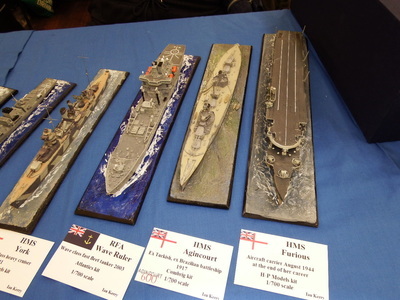 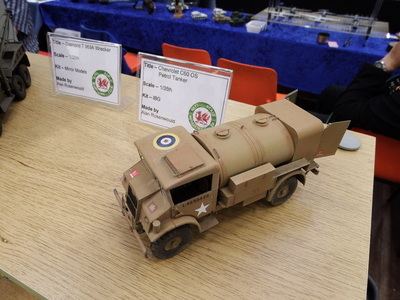 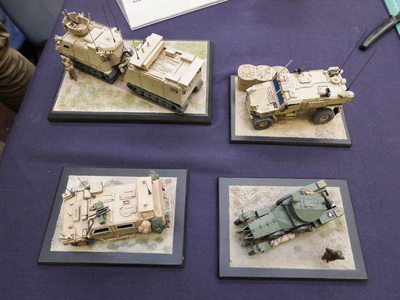 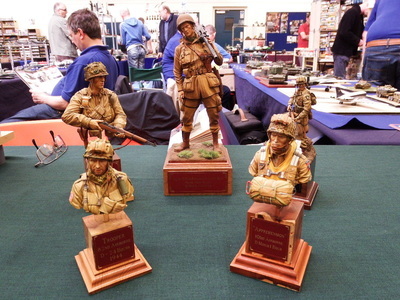 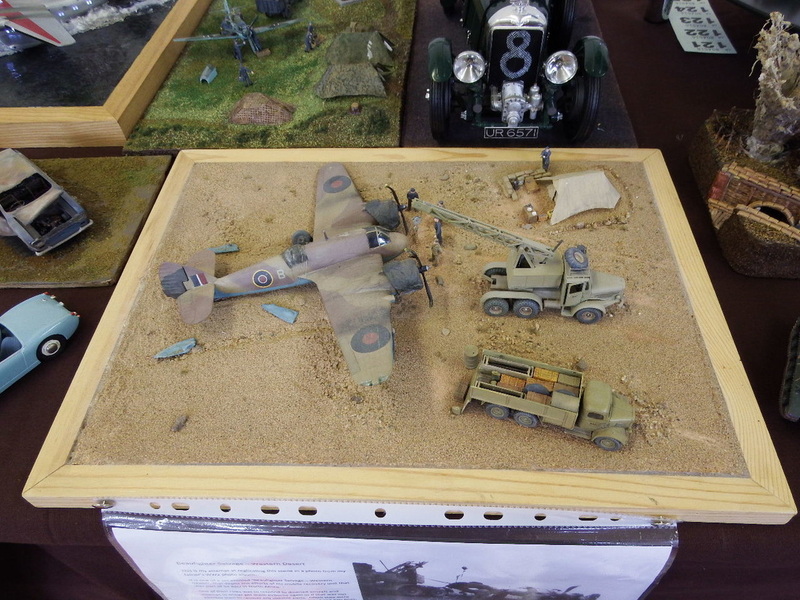 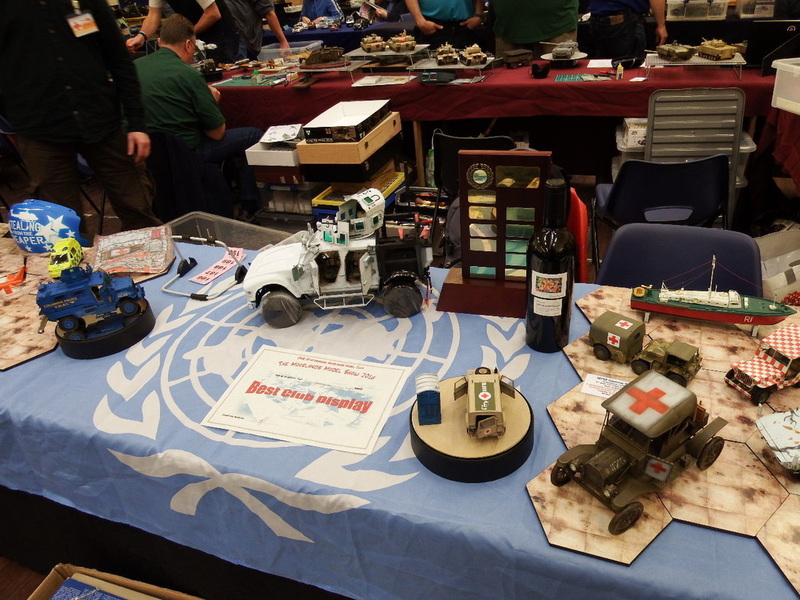 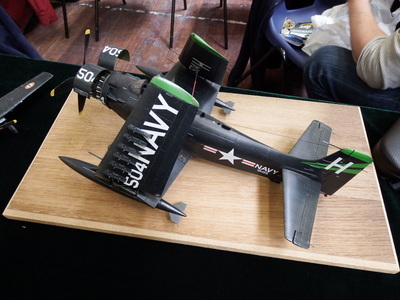 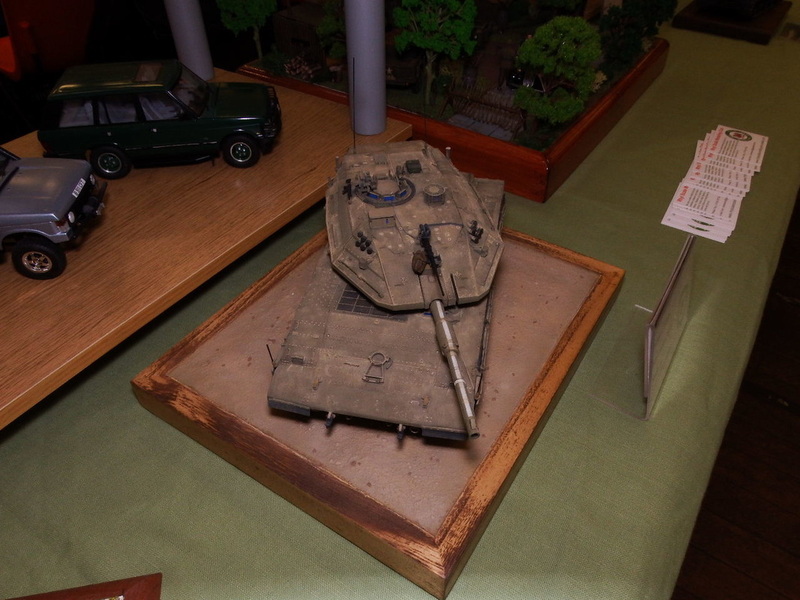 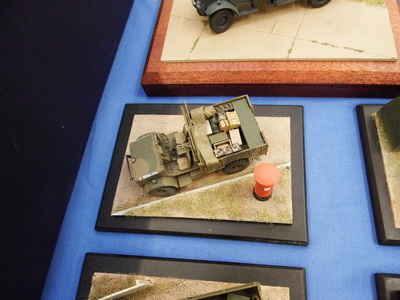 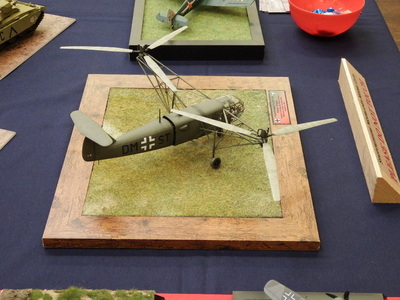 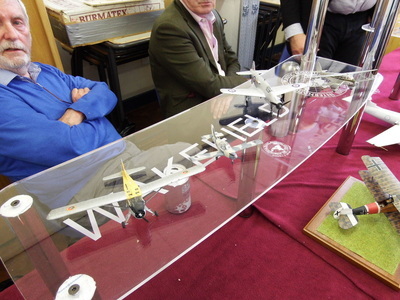 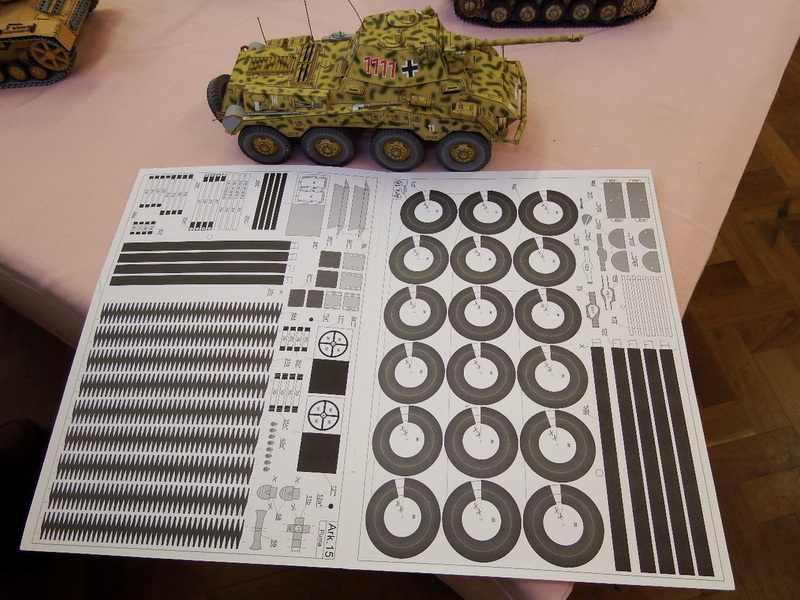 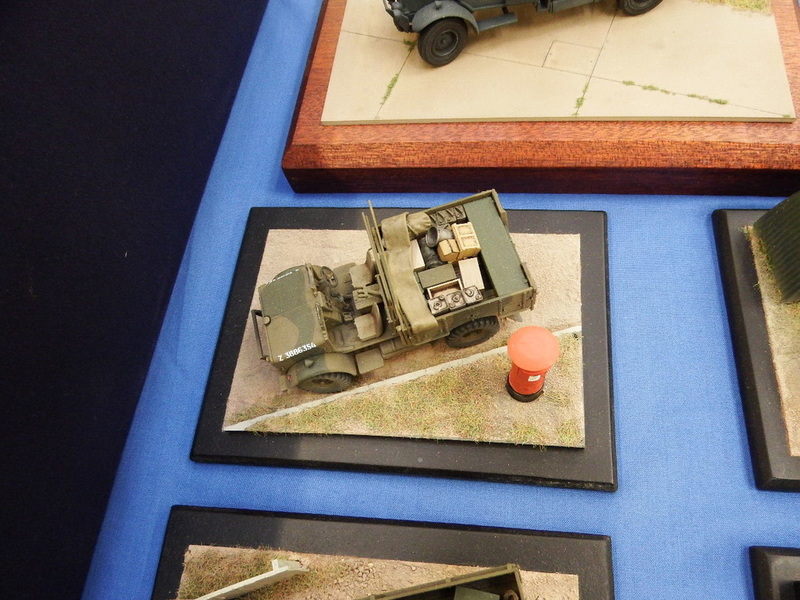 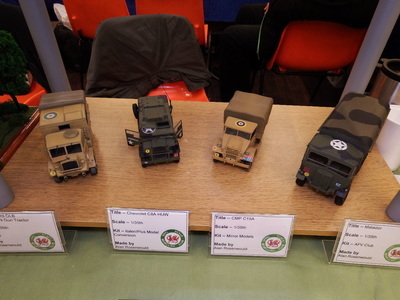 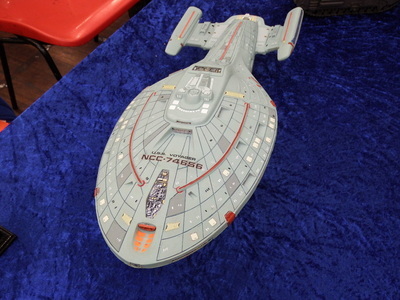 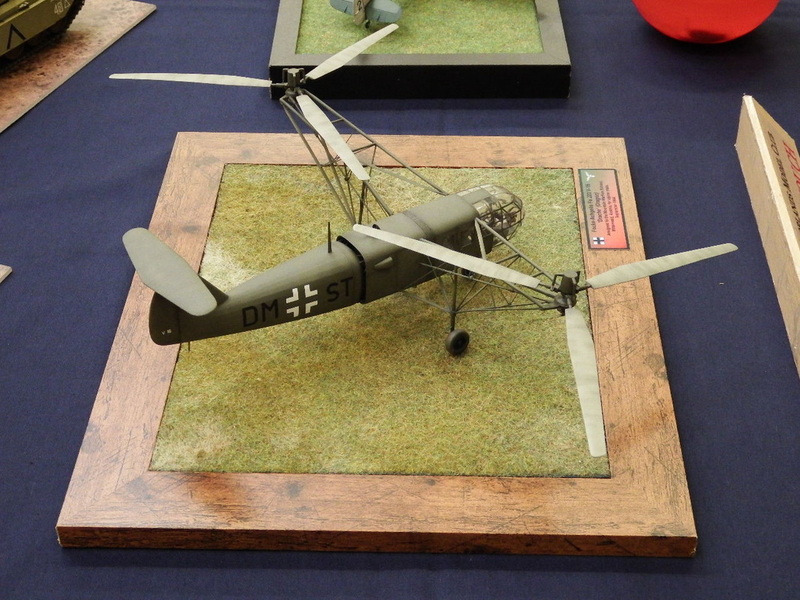 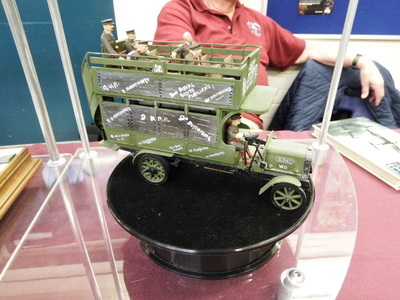 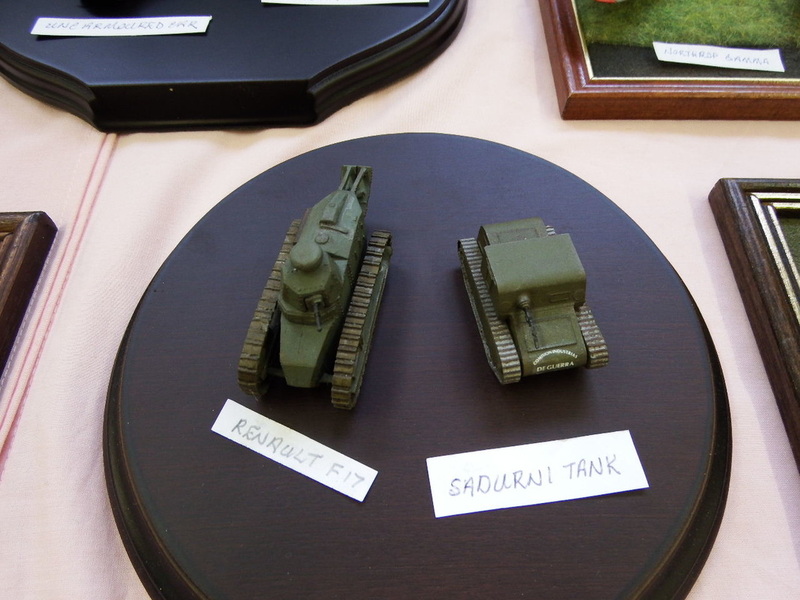 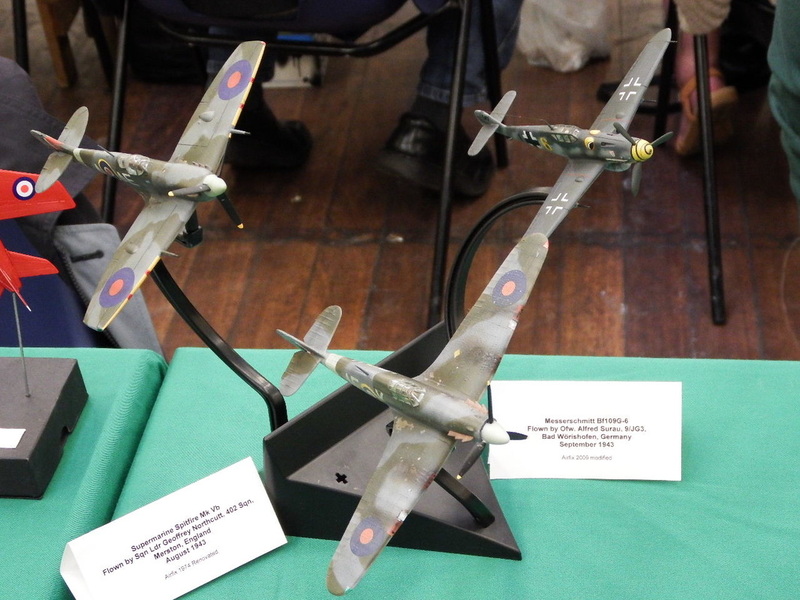 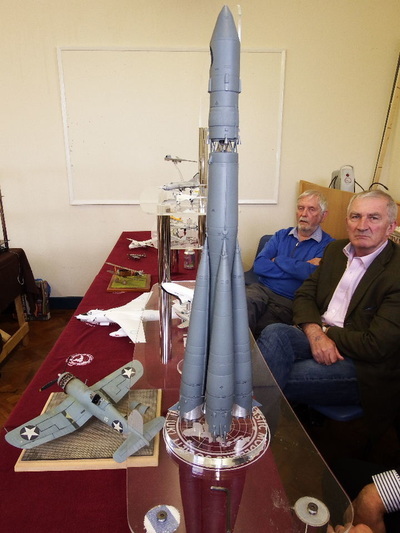 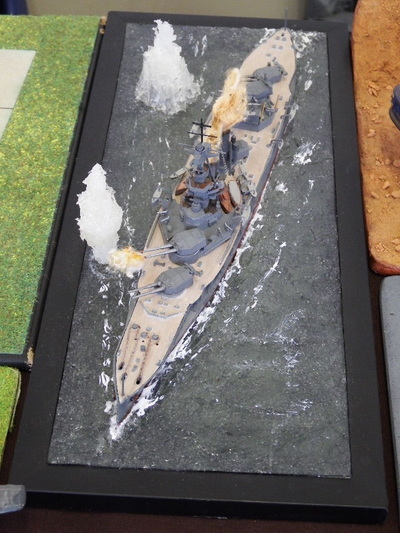 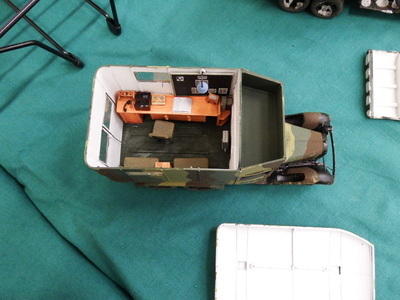 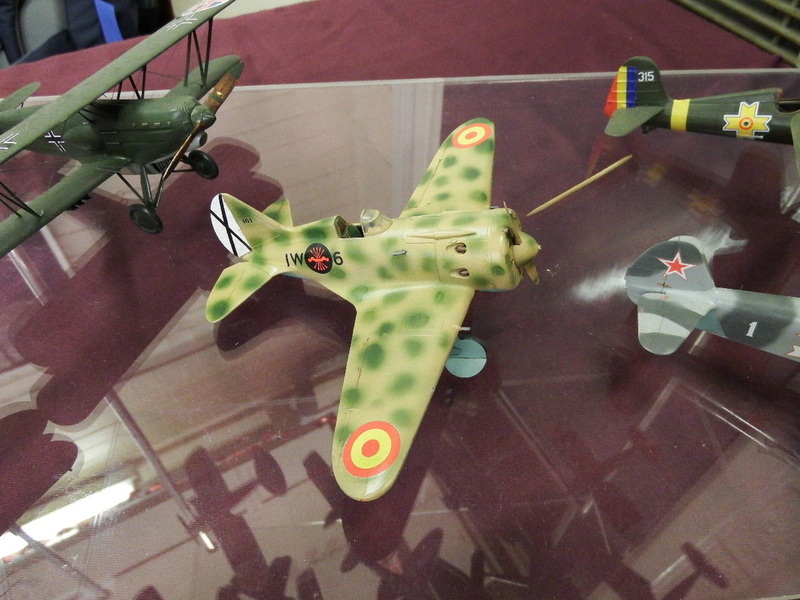 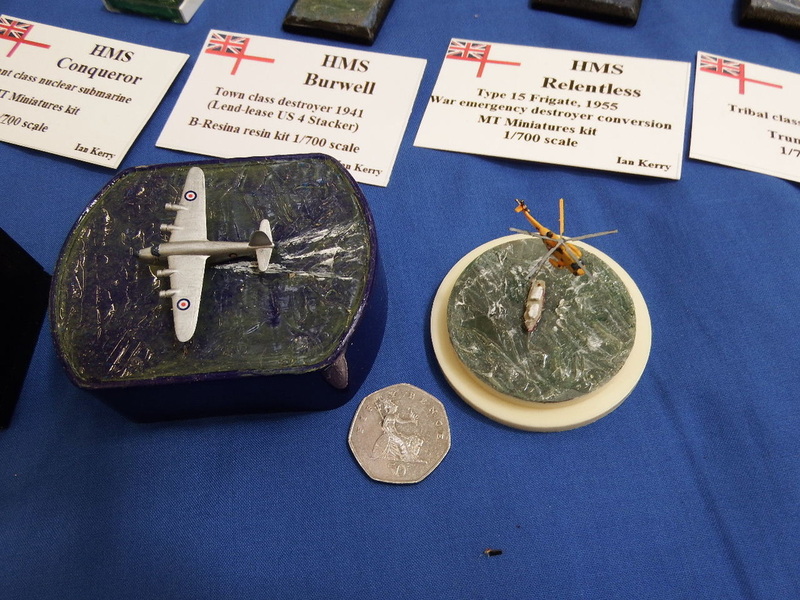 It was always our intention to actively do some model building at the Show and this really paid off for us as we had a consistant level of visitors with questions throughout the day. 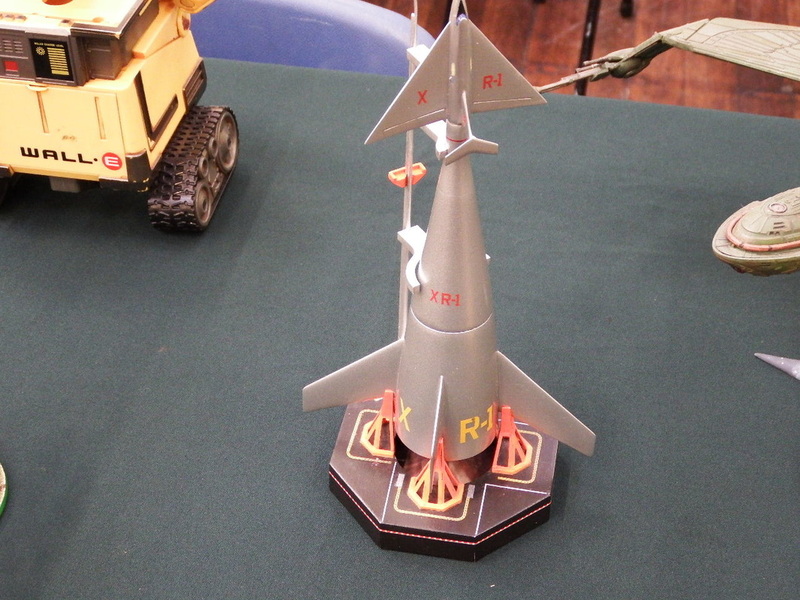 At one point all 3 of us were deep in conversion with 3 different groups posing 3 different sets of questions. 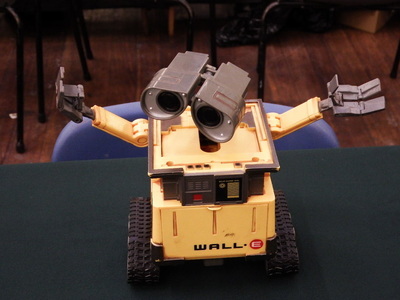 I didn't have the mojo to take pictures today so I asked Tony to take up the task and handed him my camera. 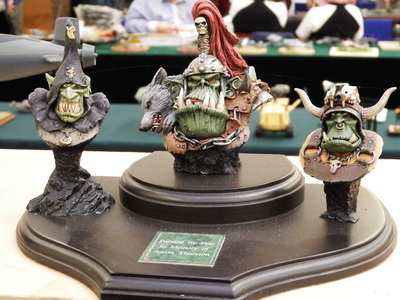 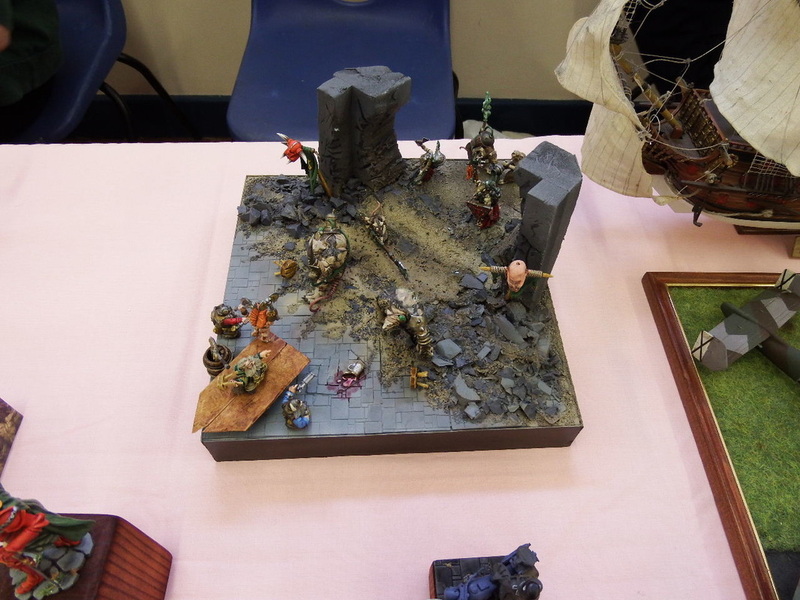 All the pictures seen here a by him, sadly a few did not make the cut (bad light in some areas) but there are more than enough below to give you an impression of the day. 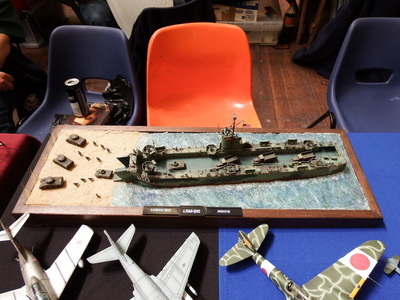 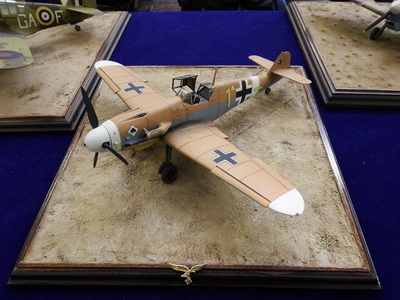 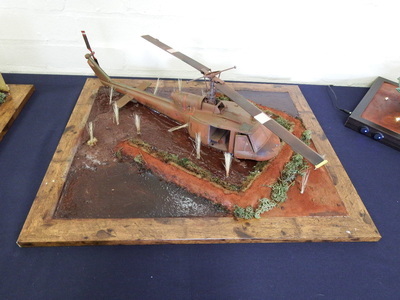 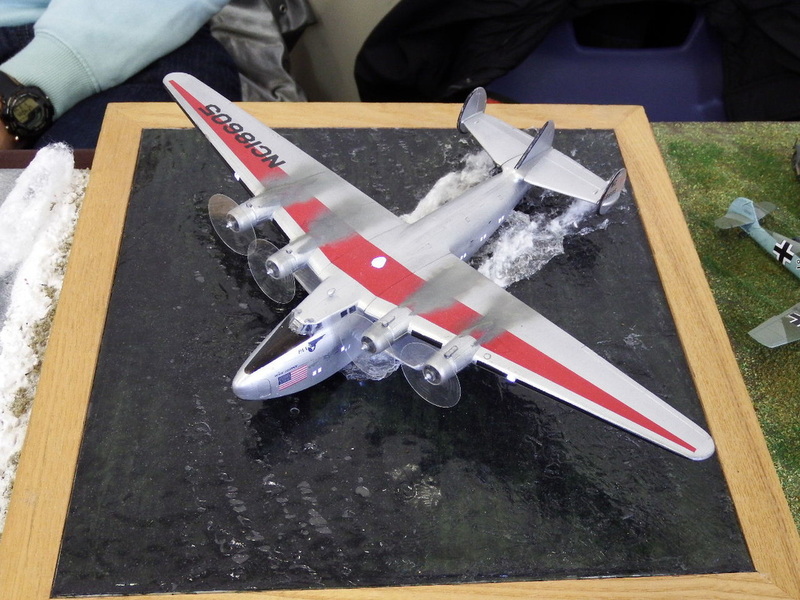 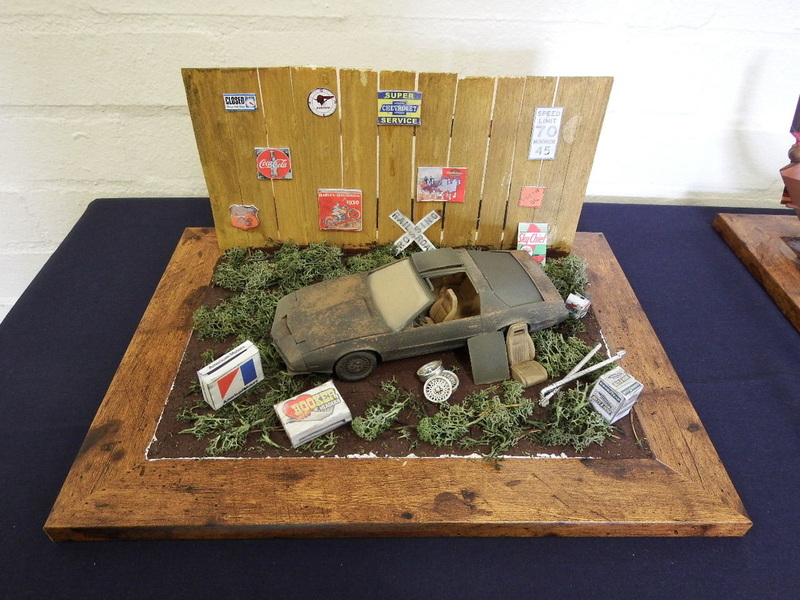 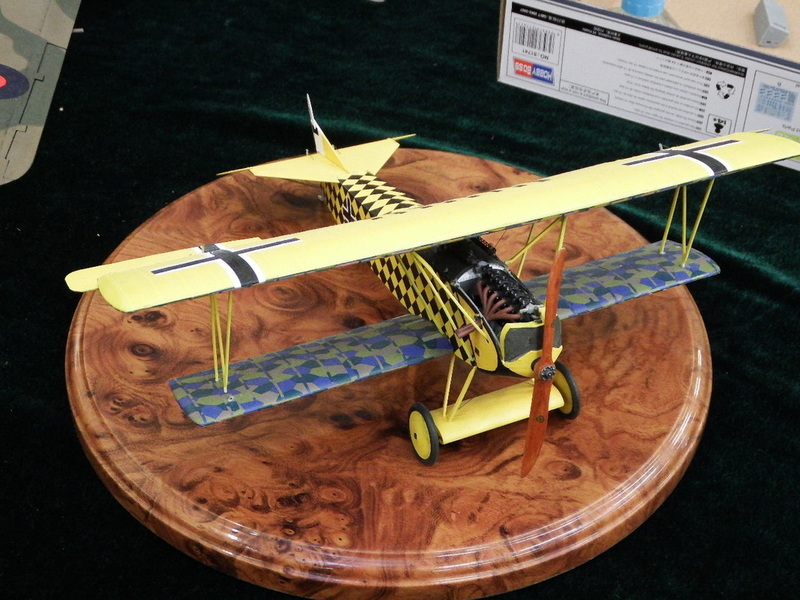 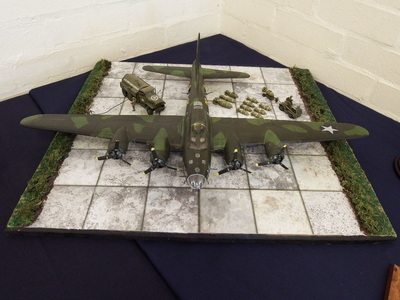 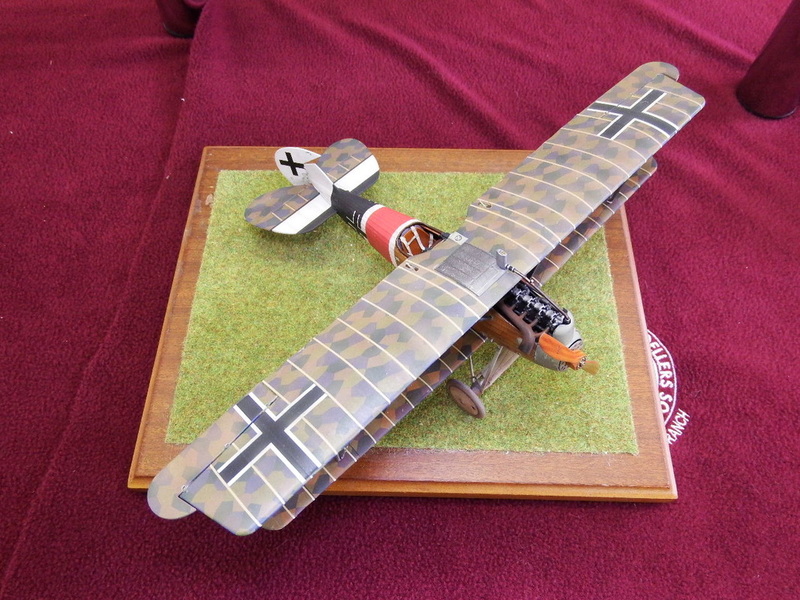 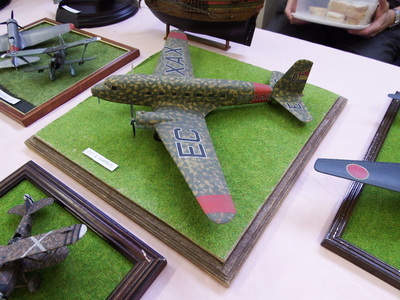 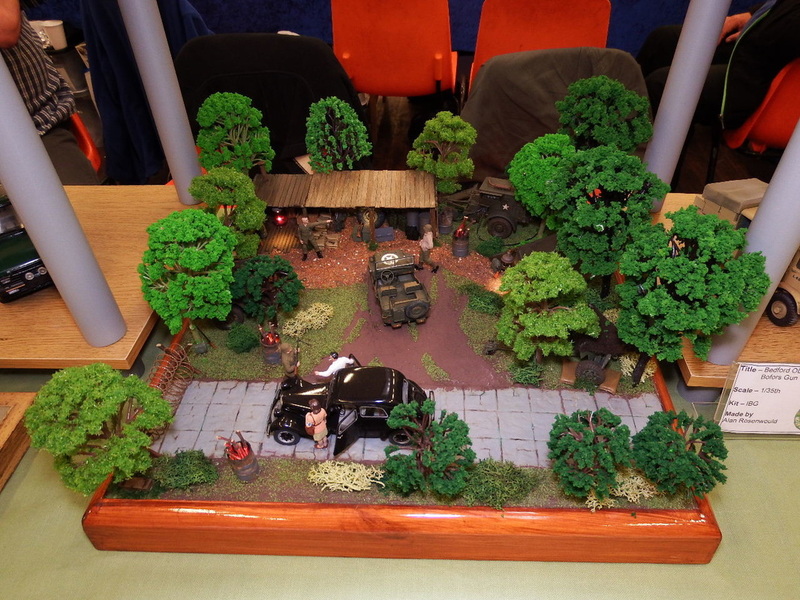 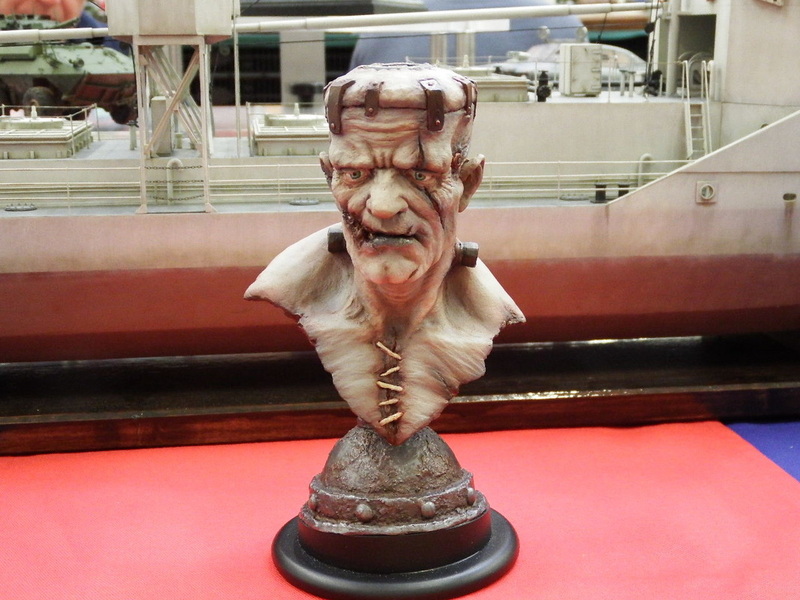 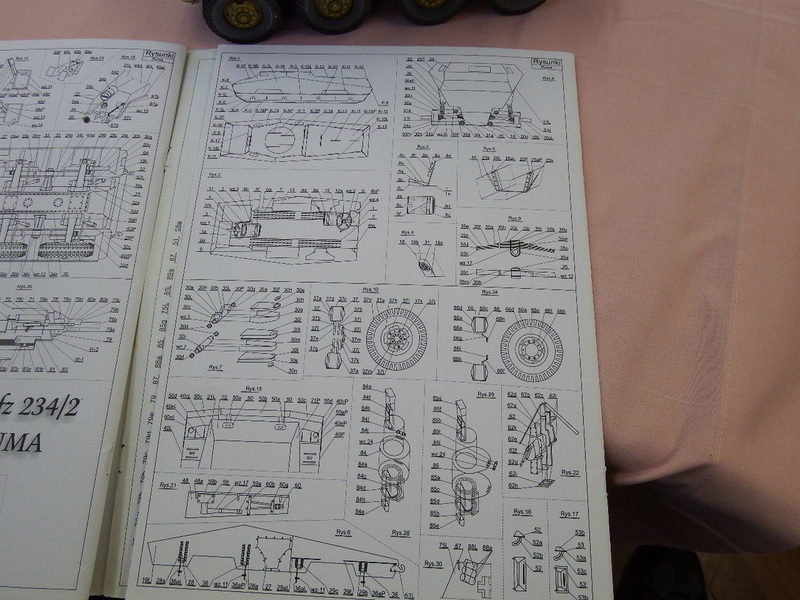 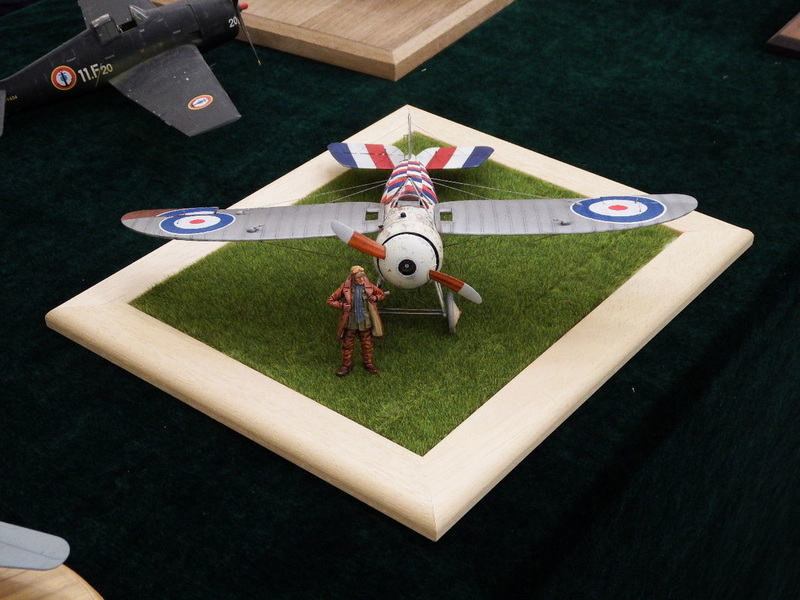 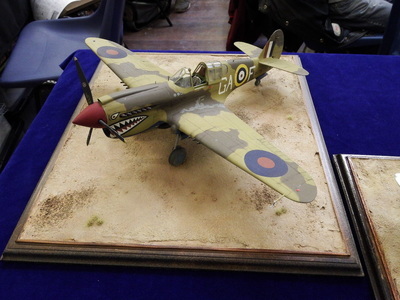 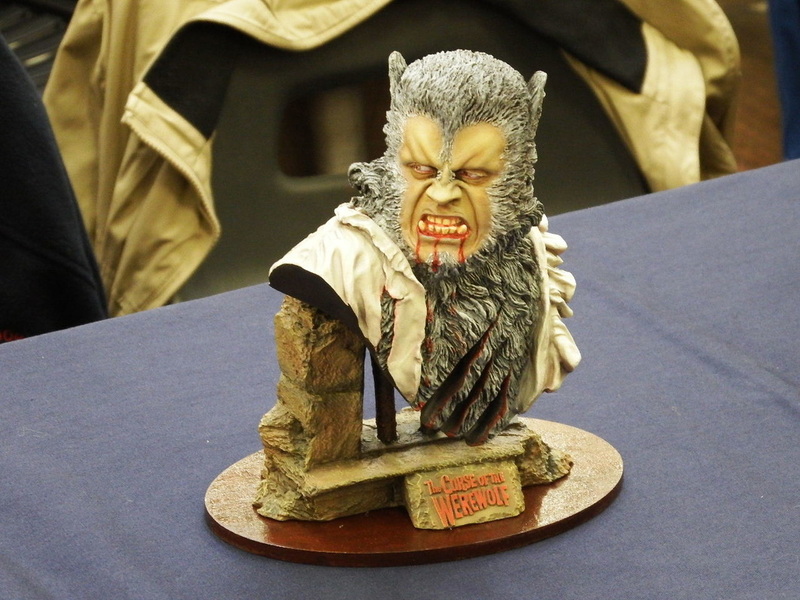 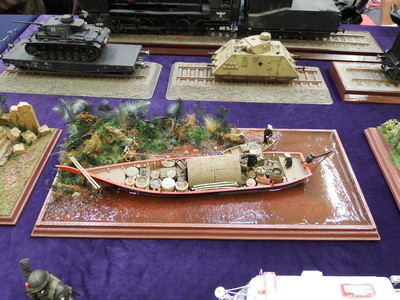 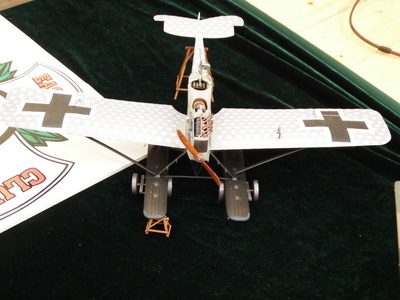 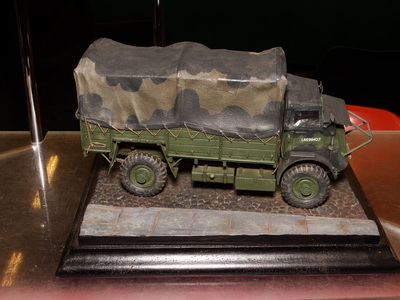 This task also enabled Tony to meet and greet lots of other modellers so it turned out as a positive experience. 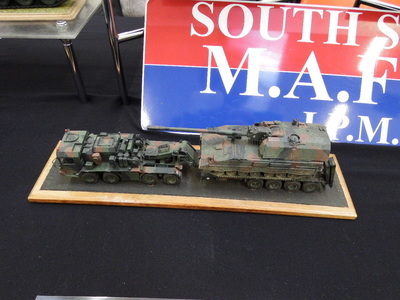 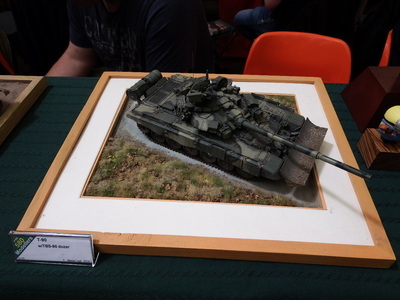 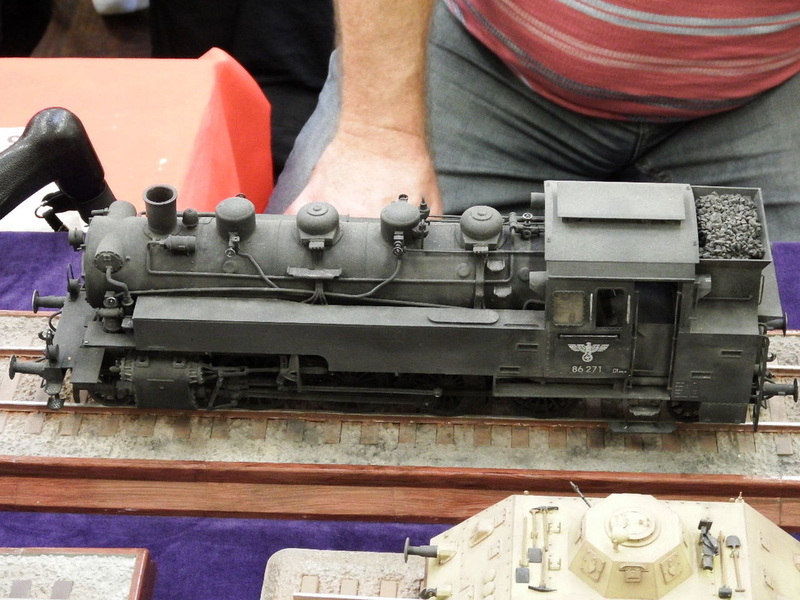 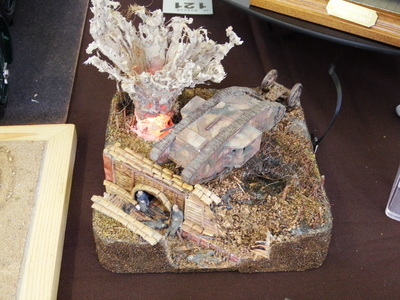 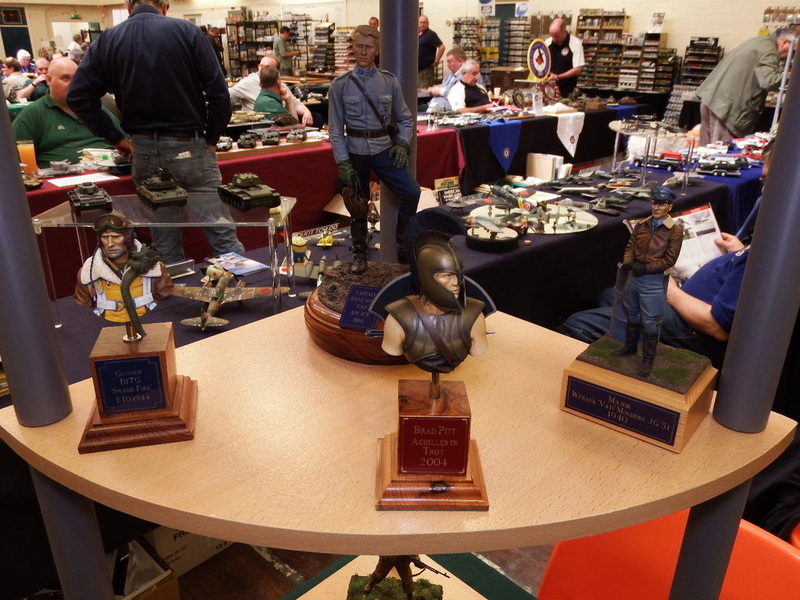 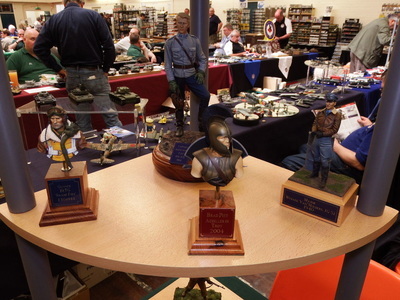 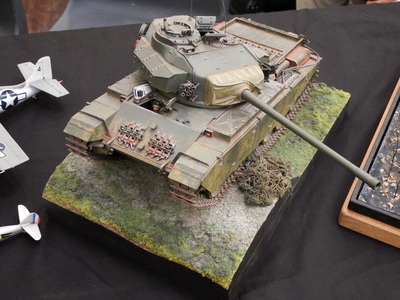 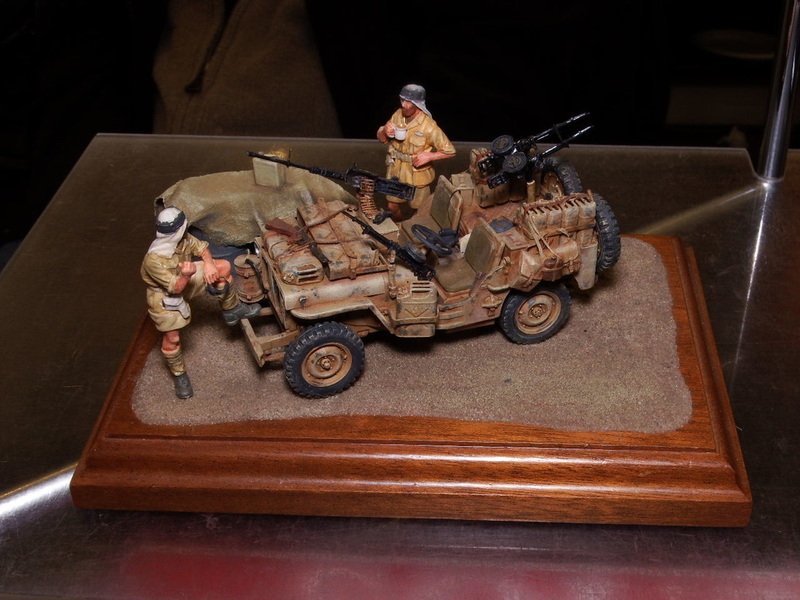 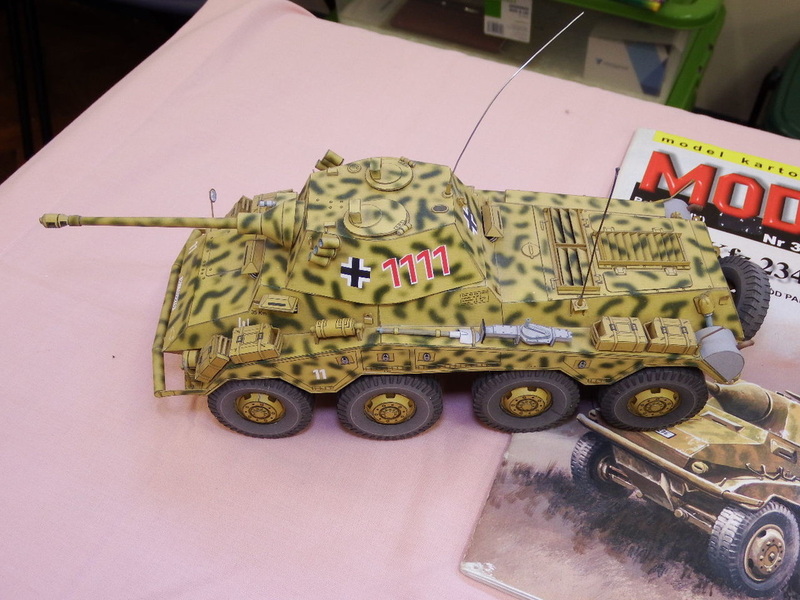 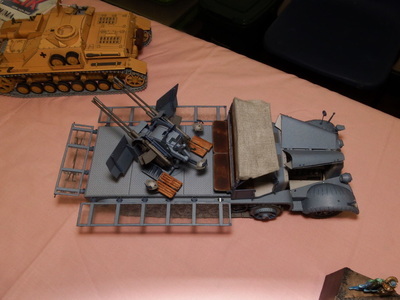 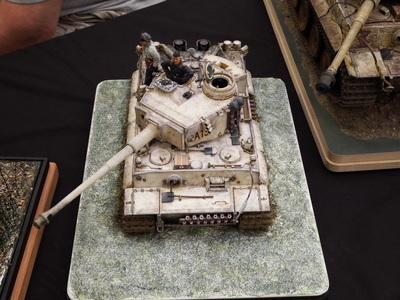 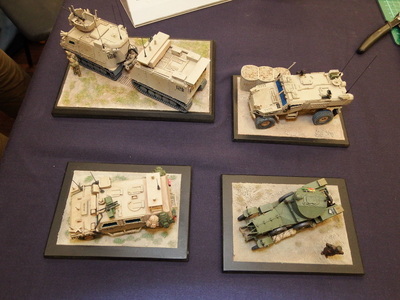 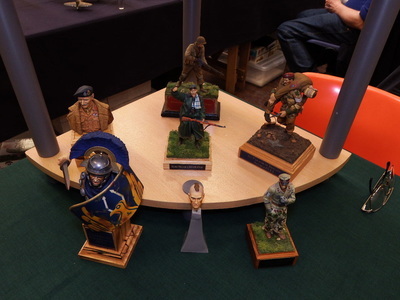 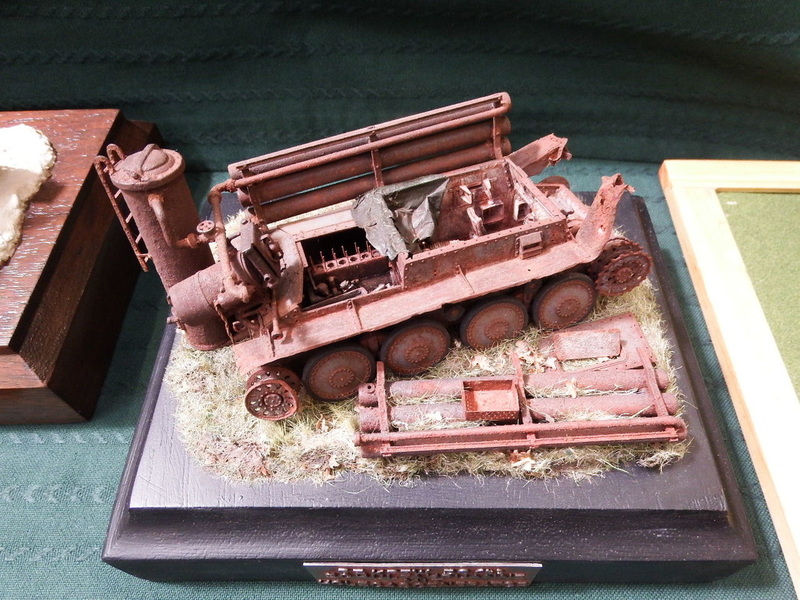 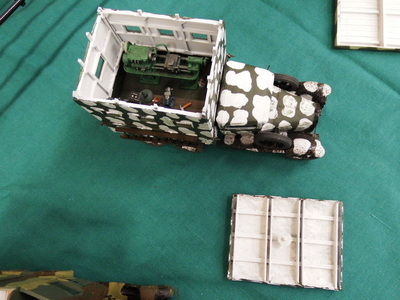 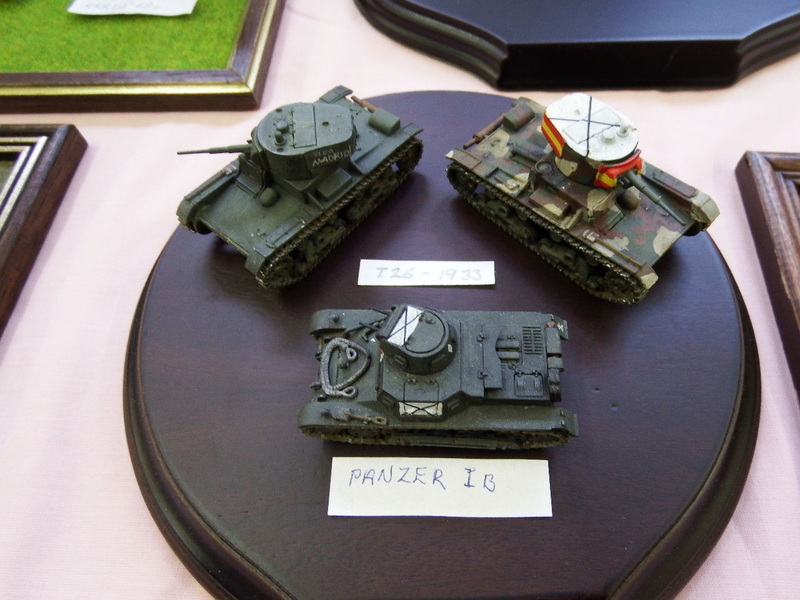 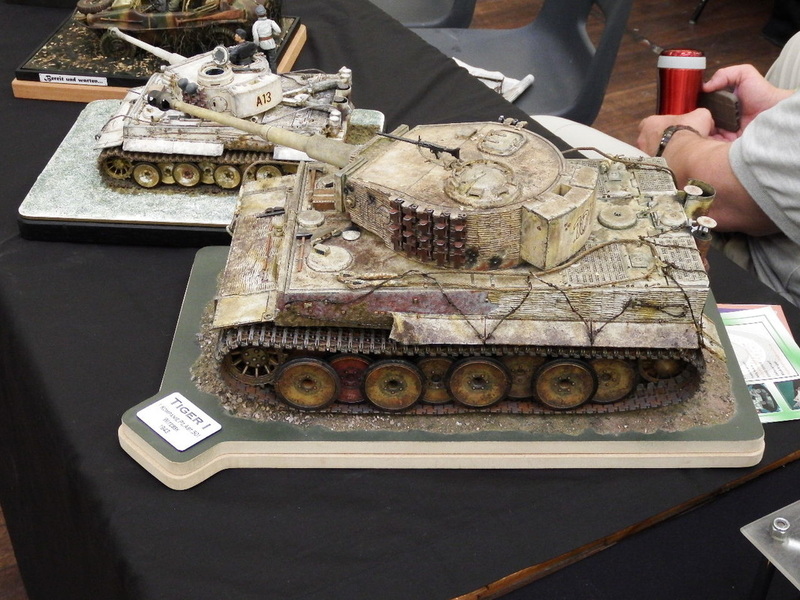 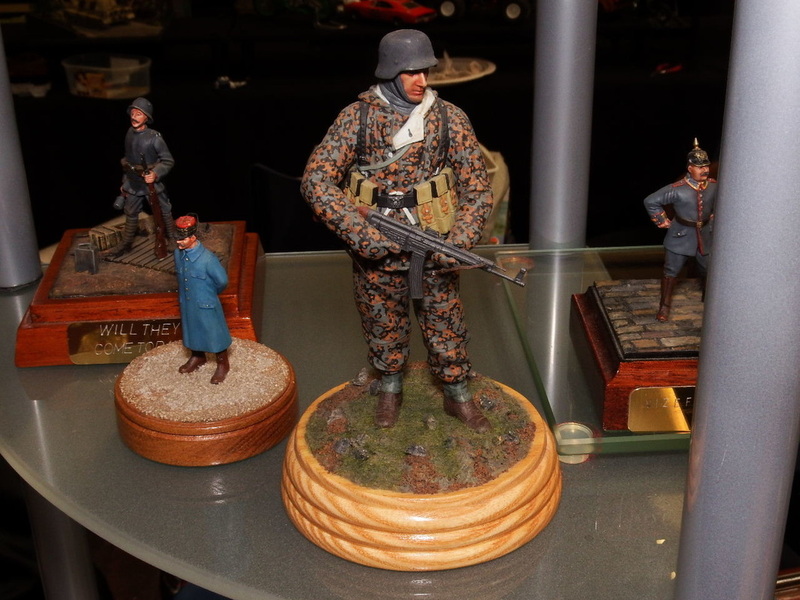 Model Builds: Alan started his TAKOM Chieftain Marksman, Daryl worked on his TAKOM 'Big Bertha' Howitzer and Tony did some weathering - all to the interest of many viewers. 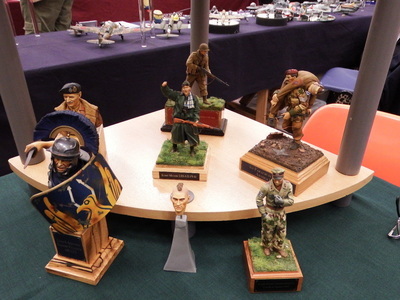 Traders present: Collectakit, Avid Reader, M.A.N Models, Infinity Models, Parabellum, MDP (Model Display Products) and another who's name I did not get. 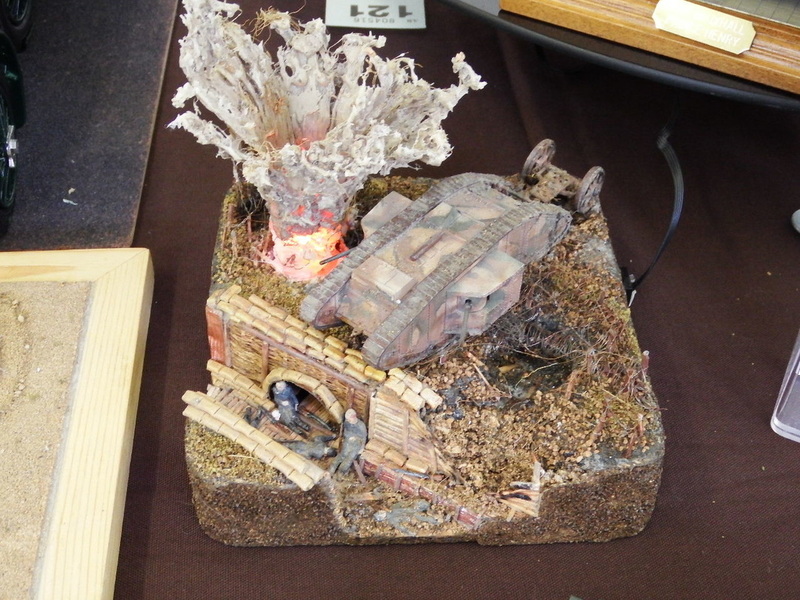 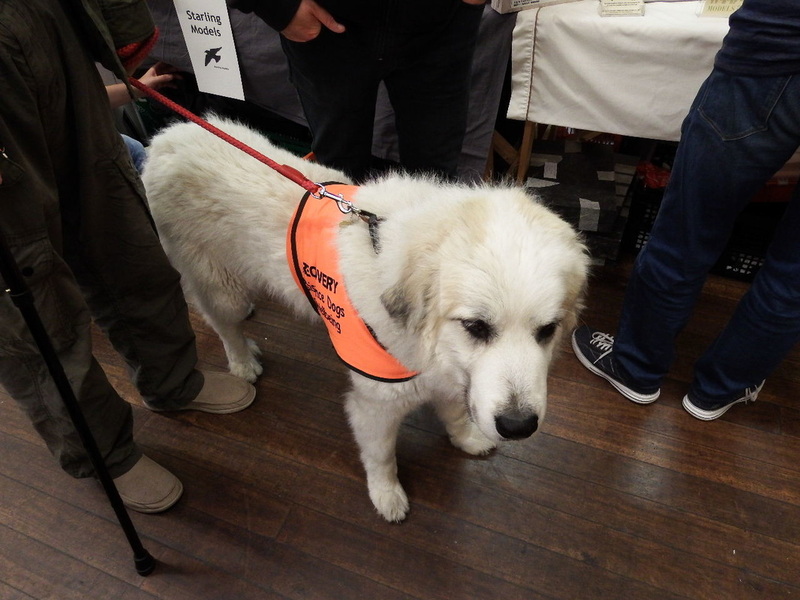 The Show, for us, was vibrant but others thought that it seemed a bit quieter than previous years. This did give many people a chance to properly catch-up with old friends (in my case Mark & Andy from Sutton Coldfield and Ian Sadler) and to have a friendly wind-up with others. 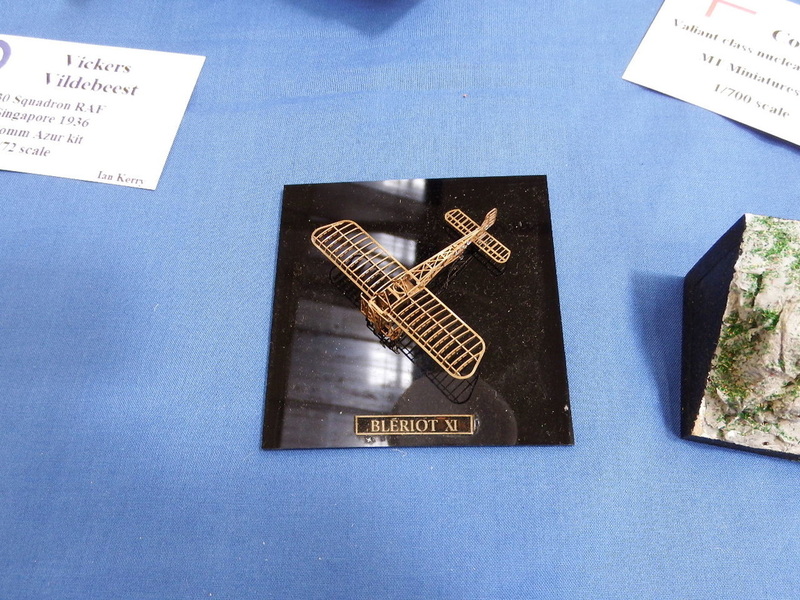 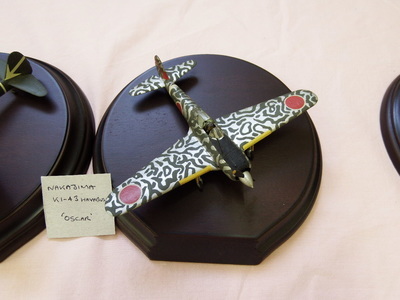 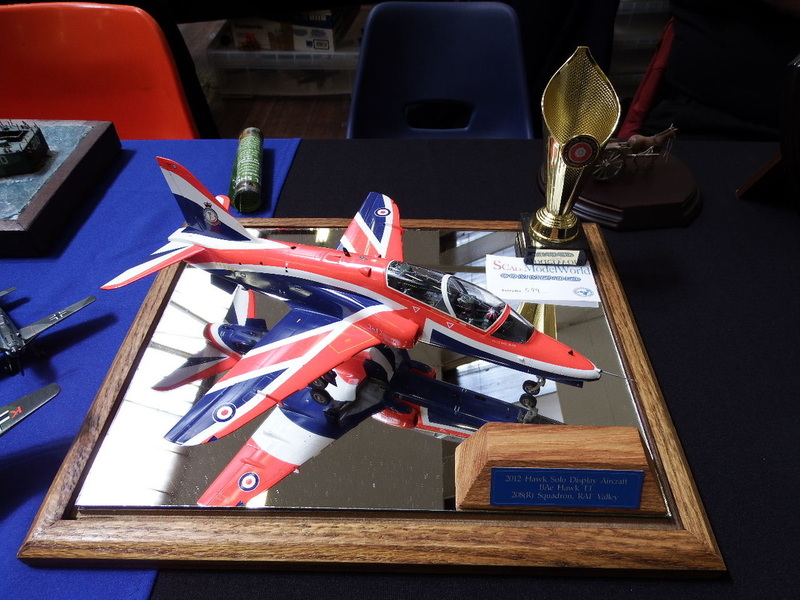 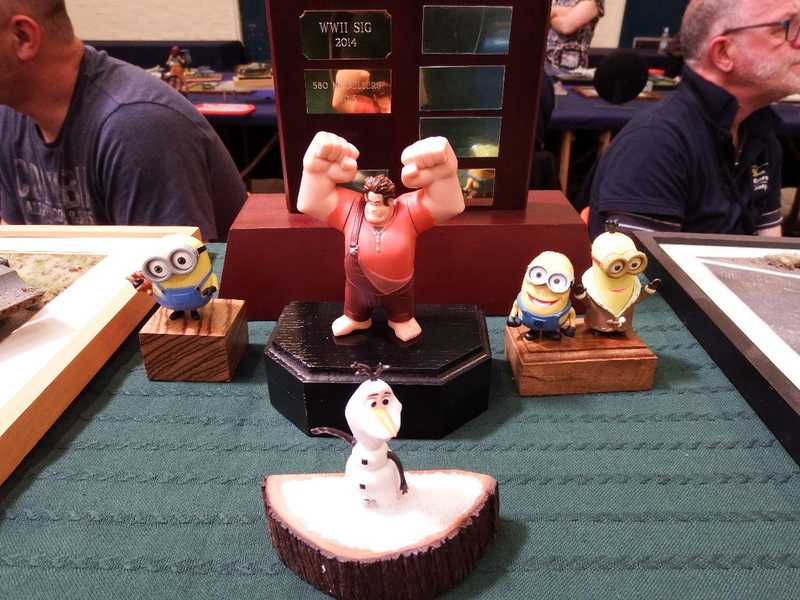 Congratulations go to Daryl (yes, he won something yet again) for his 3rd (1/32 Starfighter) and the DaVinci Canon and also to Kev Green for the Best Club Display from Stealing from the Reaper SIG with his unique display. 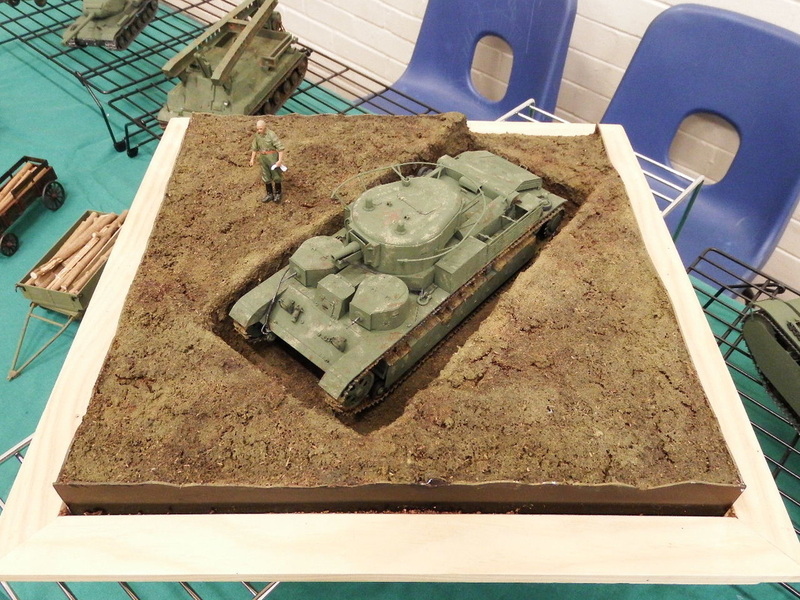 The Sgt Major's Cookhouse was again present but he had drafted in the Captain as a stand-in for the day. They were busy all day with Tea's, Coffee's and Butties. Always popular and reasonably priced! 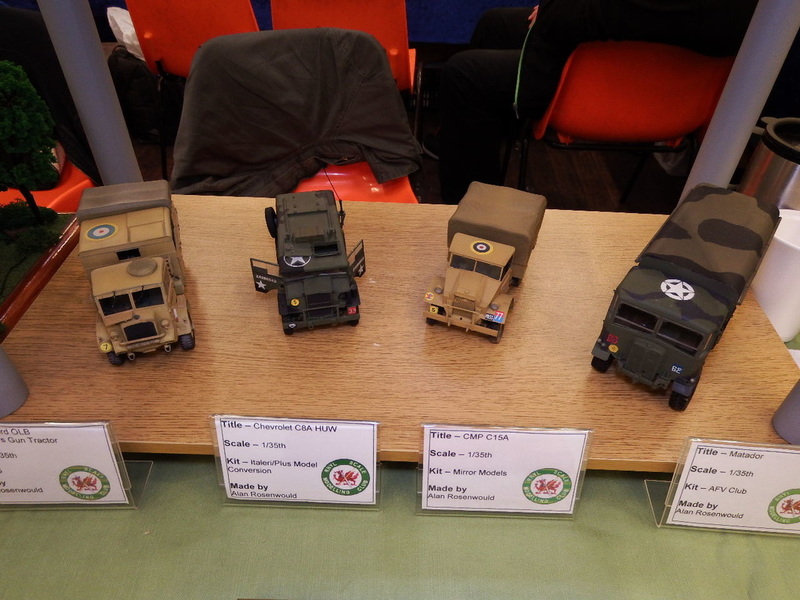 Thanks from me to Daryl & Tony for today, couldn't have done it without them and thanks to the Sgt Major for the sausage butties at lunchtime (saved time this morning on doing a pack-up). 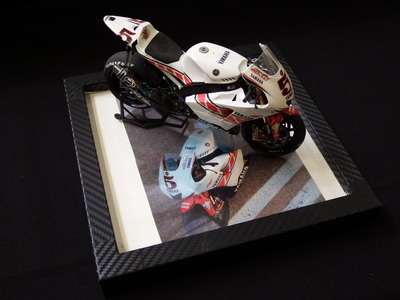 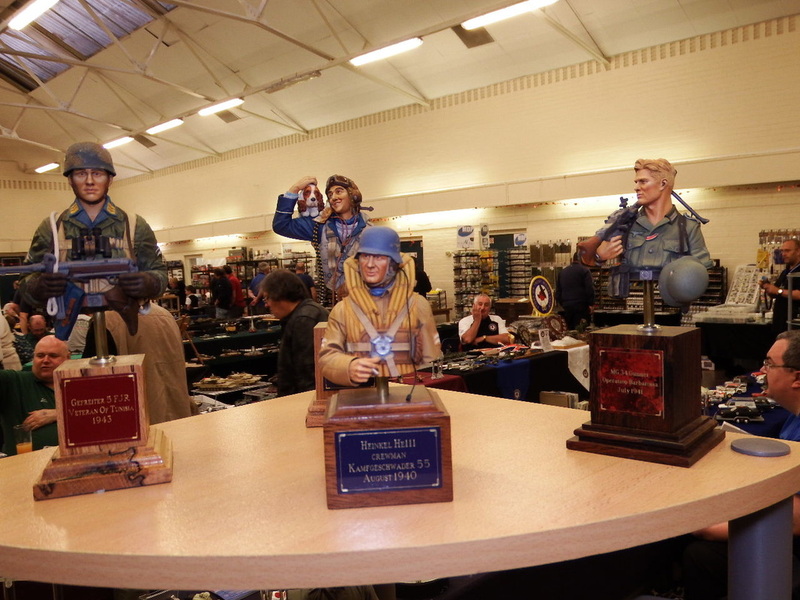 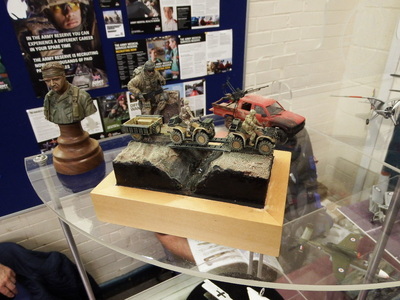 We had plenty of positive comments about the Club Display which is always appreciated. 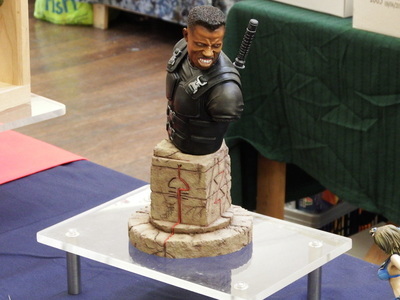 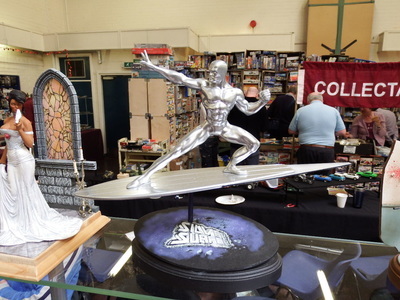 We also managed to collect a few goodies from our friendly Traders. 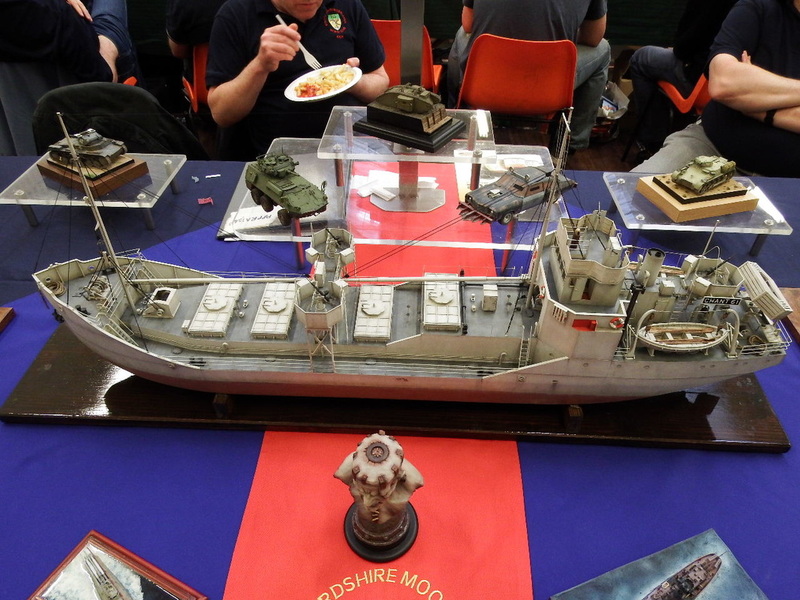 Sincere thanks go to John Lingwood and the Crew of Staffordshire Moorlands for today. 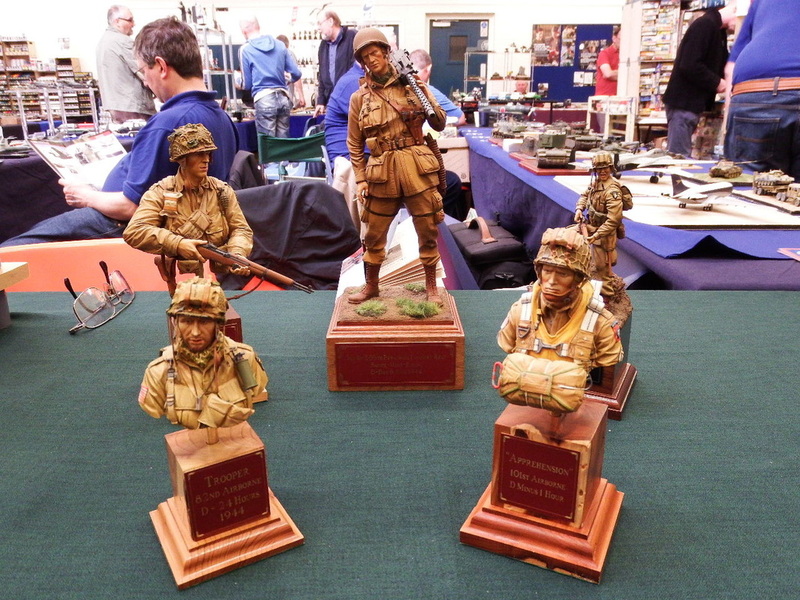 We thoroughly enjoyed the day though it is tinged with sadness as this year will be the last time at the TA Centre which is to be de-commisioned and sold off. 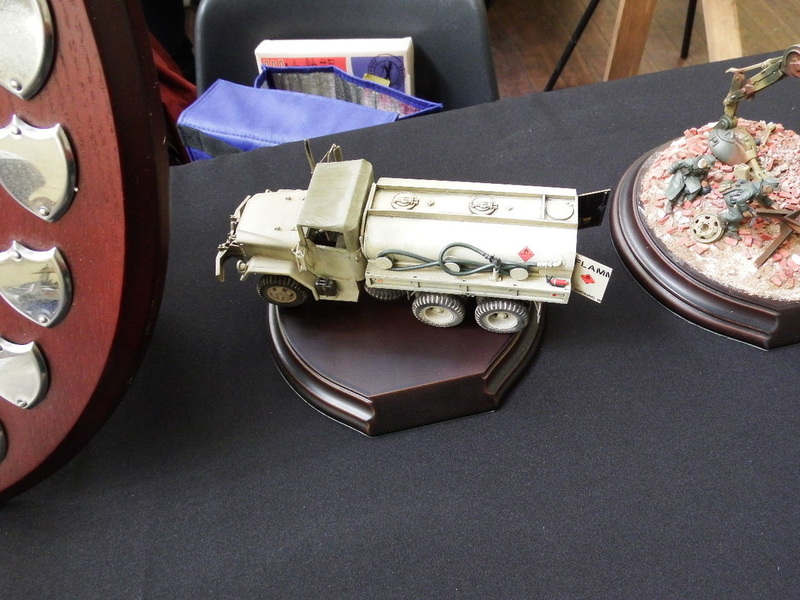 This now leaves Moorlands to find a new Show venue or call it 'a day' and we all hope there will be a Show for 2017.